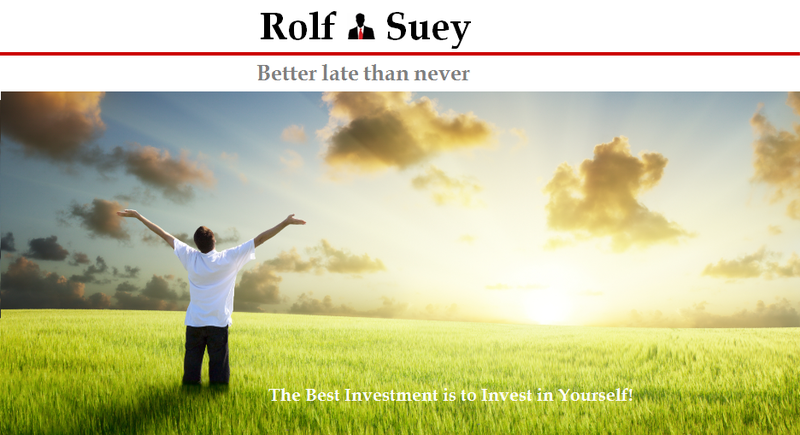 Rolf Suey - Better Late Than Never: Ray Dalio’s Exceptional Insight! One of my favourite investors is Ray Dalio. I had reproduced his recent interview with Bloomberg in words as follows. Hope it helps in your investment decision. Productivity Matters in the Long Run – What you earn is what you get to spend. Long term debt cycle - 50-75 years (1930s and 2008) i.e. when you have too much debt relative to income that you cannot service anymore and when rate of interest goes to zero, there cannot be stimulation anymore, we run out of usual monetary policy, then you have to go to monetary policy 2 which is QE. This happens in Great Depression and GFC. QE which means purchase of financial assets by the central bank and the sellers of those financial assets then buy other financial assets and cause the price of these assets to increase, which have the effect of diminishing returns eventually. And when expected returns are low in relationship to cash, one is almost indifferent. So when you buy that bond, when the fed put that money in the system, that person is going to be indifferent. This is called “pushing on a string!”. Pushing on a string begins in 1935 and are now going in a situation which is somewhat worldwide analogous to that. We approaching it countries by countries. Japan were the first for couple of decades because they put interest rate at zero and they are trying to get 2% inflation but it is not working. Europe is there also. Across the curve, we have interest rate at zero and likely negative depending on where and it is certainly not going to work and the purchase of these financial assets is getting transmitted to currency movement. Then the effectiveness of raising those financial assets is limited. In USA there is little more room. She is close to zero interest rate, and then if you take the spread, the spread are relatively low, little less than 2% bond yield and equity expected return is approx. 4%, so there are some spread there, some ability. The issue is asymmetric risk to the downside. For upside, tightening is always going to be effective to raise interest rate. Things are going to slow down because everybody has lots of debts, so not a problem. The situation is the risk to the downside. This is risky. Then you need other forms of stimulation which is monetary policy 3. This is not QE because money is in financial community and has little effect anymore. This is towards mainly to put money directly into the hands of spenders! E.g. print money and hand money to consumers. And with combination of fiscal and monetary policy, Fed government run deficit where central bankers can monetize it by lending the money. Continuum one i.e. “Helicopter Money” process of putting money into people legally to spend it and it can bypass the financial market. History happens before but just that it does not happen in our lifetime, so it goes unnoticed. Ray Dalio mentioned the next big move will be QE! It is not the 25 basis points type of hike, which is not the big move he meant. By then, it will be a serious mistake. Circumstances now have surprised the Fed because they have not pay attention to the long term debt cycle. Our risk is not inflation and not overheating of the economy but long term debt cycle. It will correct to a point where the risk premium (or spread) comes back. Ray Dalio is not bearish on the stock market! Expect stock to return 4% which is long term return and this is a problem for savers e.g. pension fund. It is like a slow growing cancer, because it will not happen overnight but it means we will have not enough to fund those return. Investors have choice of 1) Cash – zero % return 2) Bond – 2% return and 3) Equity – 4% return. When assets sell off, it becomes attractive, and then it draws investor in. The issue is the possibility effect of negative feedback loop that comes from the ineffectiveness of monetary policy, so when stocks go down and have a negative wealth effect, this transmit to negative effects on economy and if you don’t have the ability to ease, that is worrying. E.g. USA and like Japan. This means balance portfolio and not go to table and bet against active investors like Ray Dalio. It is not easy to win in the market. Ray Dalio’s Bridgewater fund does not just go systematic long everything. It can go either way. E.g. in 2008 they return is 10%. A balanced portfolio is a well-diversified one. Remember asset class always outperforms cash! The only exception is during Depression. Don’t compete against the professional and do not try to move around in the market and you probably are going to lose. E.g. you have a strategy which is good, and then you change your mind which is not helpful. Very similar to the situation that USA use to go through in the past. The issue is you cannot have debt cannot rise faster than income. And this is happening in China now. China needs to have a slower rate of debt and they need to restructure that. USA has 3 major debt restructuring and done that successfully. It is going to be a different kind of industry. E.g. steel industry in USA changing into consumption then to digital technology. China needs to restructure their economy which is a difficult thing to do, and they also have a balance of payment issues. (i.e. outflows). Leadership to manage it matters! According to Ray Dalio’s contact in China, he claimed that China has very capable people in leadership. But not the stock market handling recently. That is not capable. Dalio thinks that China leadership capability is equal to the best in the world. It is like China is going through a Heart Transplant! You need to right execution but it is going to be fine in the long term after the operation but it weakens you. But you will get through it and be better than before. It is difficult because money is leaving the country. China has lots of control because many enterprises are state-owned-enterprises (SOE). China can open the bond market to have greater control over it. Will China devalue its currency? Ray Dalio does not know and he said it is too close to call. In general we will have slow growth, and sees up and down. This presents difficulty for monetary policy. We will see currency volatility. Ray Dalio is not expecting the 2008 type of crisis. Definitely not a big bang type of crisis in the near term. It will be stagnation and choppy! He is more concern about the negative feedback loop. E.g. stocks decline and dollar increase and USA becomes less competitive i.e. essentially tightening of monetary policy. Then how exactly this effect is passed into the economy is the asymmetrical risk that is of concern. Ray Dalio mentioned that there is a part in his youtube “Economic Machine” video that pointed out this. During a part of the economic cycle, there will be tension between the “haves” and “have not” and people are frustrated at the government. This is no different in Spain. The emotionally charged individual who may not be well-informed in choosing leaders might select leaders who are not capable and as emotion themselves. And if that happens and normally prone to happening, which means a type of leadership that handle the situation can be worse than a capable and moderate type of leader who understand how the machine works! If we have one group fighting against another, it is bad. If a moderate leader can bring together and work together, that is good! Next big move – QE3 or even Monetary policy 3 where money is put directly into the hands of spenders. The biggest concern is asymmetrical risks to the downside or negative wealth feedback loop. Not bearish on stock market. Predict long term equity expected return of 4%. China is going to be fine in the long term. Bet on consumption and digital technology companies. Slow growth environment and choppy market with volatile currency. Do not expect major crisis in the near term. Politics and the selection of leader matters to the economy. I watch Mr Dalio too. "Remember asset class always outperforms cash! The only exception is during Depression." agree! remember asset class does not always equals equities only. "China needs to restructure their economy which is a difficult thing to do, and they also have a balance of payment issues. (i.e. outflows). It is like China is going through a Heart Transplant! You need to right execution but it is going to be fine in the long term after the operation but it weakens you. But you will get through it and be better than before." "Next big move – QE3 or even Monetary policy 3 where money is put directly into the hands of spenders. " Thanks for the comments and dropping by. Yes, agree that asset class is not necessary equities. Over time equity is still one of the best performing asset class, but dictated by what and when we buy though. I read your comments on BB blog and indeed not all overcapacity in China will be converted into internal consumption. The inefficiencies have to go. Perhaps this is part and parcel of an overheating economy cooling down. As for US, the innovations and technology advancements of businesses will never going to let them down during our lifetime. It is just so vibrant. The drag is going to be politics and government, I think. Principles by Ray Dalio on the Bridgewater website. It details his life and management principles. Thanks for dropping by and noted your kindness in sharing. Ray Dalio is one of my favorite investors as far as macro investing is concern and his views about economy going back more than 100 years. Below are other articles I wrote about Ray Dalio last year. There is also a 300 over pages free pdf on his economic principles which I read last year as well. What am I doing during the recent STI rally?